Are you finding your window difficult reach? Maybe it’s high up or obstructed by a piece of furniture. Do you have a large window in your home or office? Alternatively do you just want to treat yourself to a little bit of luxury? 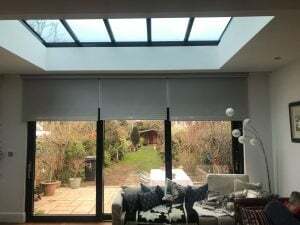 Whatever the reason, an electric roller blinds means no cables or strings to negotiate. 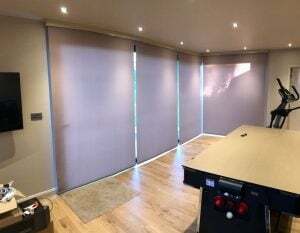 Instead your blind can be easily operated by remote control or the flick of a switch. You can either have a 240v electric roller blinds or a battery operated roller blind. The motor is specified depending on the size of the electric blind required and what stage of build your house/office is at. 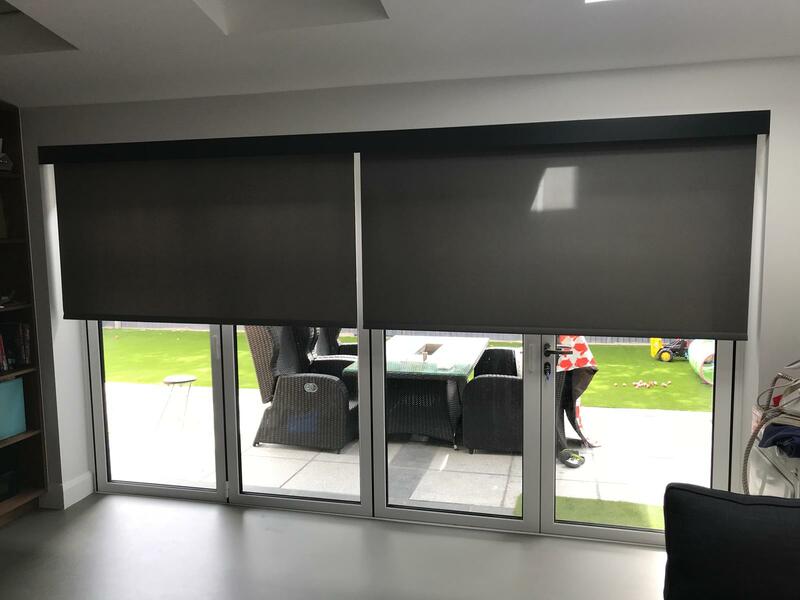 For example, if you are installing the blinds as part of a new build or during a refurbishment, we would recommend a 240v electric roller blind. If you choose to have this type of electric roller blind, it is whisper quiet when rolling up and down. Furthermore you can have a larger blind than the battery operated model as the motor is stronger. A battery operated roller blinds works well but you are limited on size due to the weight of fabric that you can raise and lower. This is generally 4sq/m which is fine for most windows. However on some of the large bi-fold doors they may need them to be 240v. 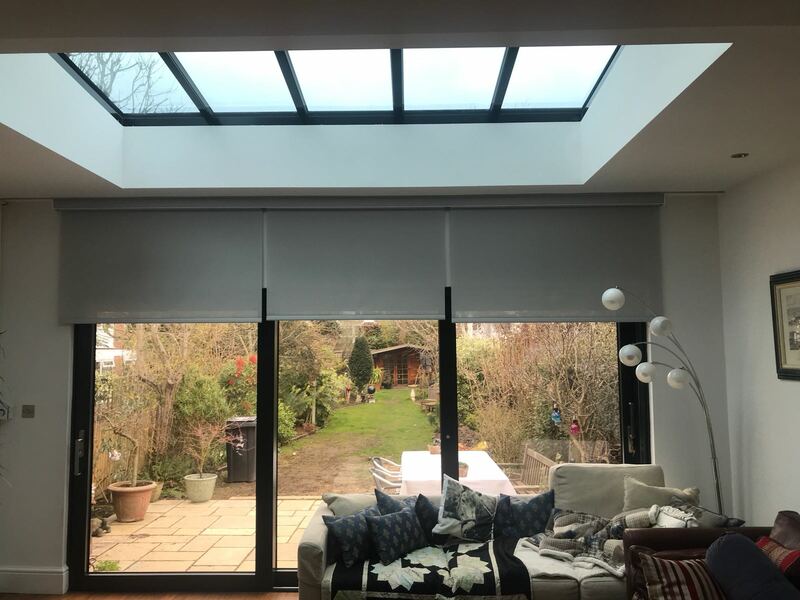 Whether you choose a 240v or battery operated electric roller blinds, we only supply the best motors on the market which offer a 5 year manufacturer’s guarantee. Your electrically operated roller blind can be operated either from a wire free wall switch or via a remote control handset. When choosing your material for the blind, we have a huge selection of fabrics available. They range from plain to opaque, blackout density to patterns, the choice is yours. 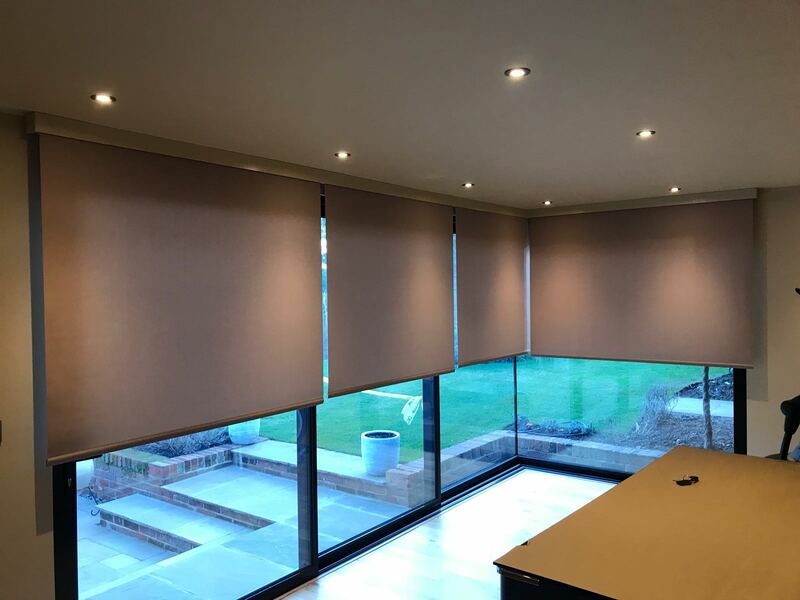 Your optional extras for these electric roller blinds include a timer. You can set this to can help with security in your absence. You can also select the option to have a sun sensor on the front of your home or office. This enables the blind to be automatically controlled which is a great advantage when you are not there. Your furniture will be protected from UV damage and your home kept cool. On all of the electric blinds that we install, we fit an aluminium pelmet. This gives a nice, neat finish at the top of the window and the blind is completely hidden from view when fully raised. You can have the pelmet powder coated to a RAL colour of your choice. Please contact us for more help of information.